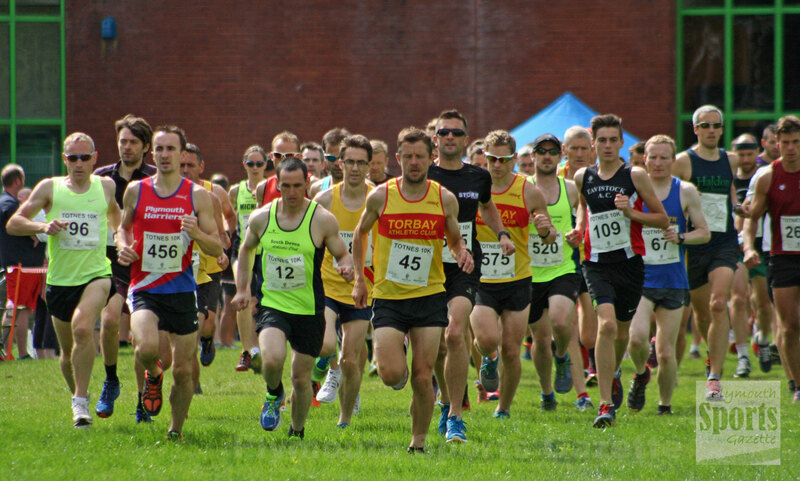 ROSS PERKINS, Steve Fletcher, Steve Wilsmore and Pete Waumsley all claimed top 15 finishes at the popular Totnes 10k on Sunday. The off-road race, which follows the River Dart, was a sell-out with all 600 places going ahead of the event and 530 finishing. Storm Plymouth and Plymouth Musketeers had large contingents at the run, with Plymouth Harriers, Erme Valley Harriers, Tavistock, Tamar Trotters, Bere Alston Trekkers and Instinctive Sports also represented. Chichester’s James Baker won the race in 35 minutes and 38 seconds. Second athlete home was Torbay’s Lee Turner in 37.02, with South Devon’s David Hampton third in 37.31. Storm Plymouth’s Perkins was sixth in 38.49, with Plymouth Harriers’ Fletcher 11th in 39.37, Tamar Trotters’ Wilsmore 12th in 39.51 and Storm’s Waumsley 15th in 41.18. Not far behind was Tavistock 15-year-old Bradley Stevens, who was 17th overall and first under-20 athlete home in 41.57. First women was South West Road Runners’ Ellie Dominey, who crossed the line in 43.41. 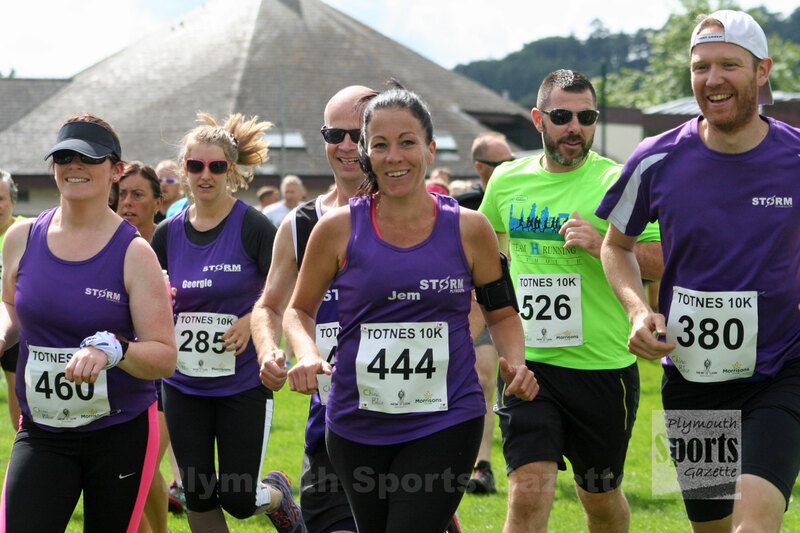 Second female was South Devon’s Michelle Cowley in 43.50 and Sarah Addington-Hall was third in 44.24. Before the main race there was a one-mile fun run for youngsters.